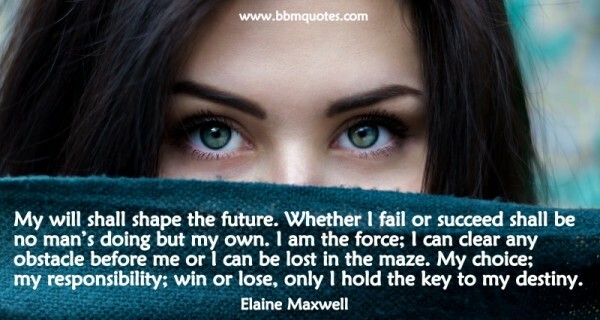 Elaine Maxwell | My will shall shape the future. Whether I fail or succeed shall be no man’s doing but my own. I am the force; I can clear any obstacle before me or I can be lost in the maze. My choice; my responsibility; win or lose, only I hold the key to my destiny.